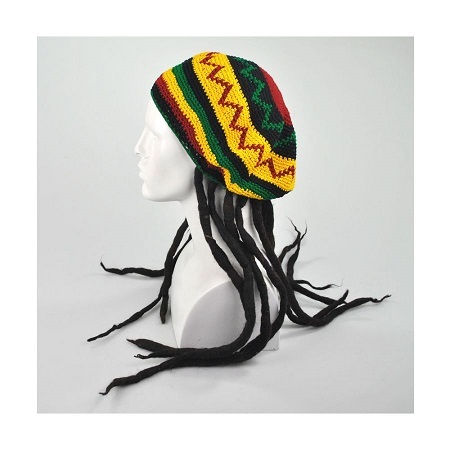 Rasta Tam With Dreadlocks is a colorful Guatemalan crochet tam with attached wool rastafarian dreadlocks. A great hat for the artistic at heart. The diameter is 11 inches and one size fits most. 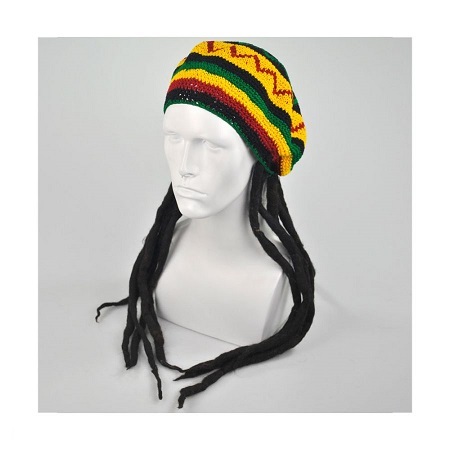 Perfect for Halloween or any day you just want to feel a little Jamaican. Ya Mon!